Malaysia’s historic 14th General Elections has given birth to a ’New Malaysia’ that is on the path towards greater transparency, integrity, and fairness. The new government’s outspoken commitment to these ideals coupled with the revitalisation of the ‘Malaysia Incorporated’ concept hints towards an environment of greater cooperation between the private sector and the government, as well as seismic changes in the nation’s corporate and regulatory climate. As the dust begins to settle, a raft of new opportunities and challenges has arisen. How can your business best capitalise on the business environment of ‘New Malaysia’? Corporate Directors: How vulnerable are you? Alternative Dispute Resolution: Where do we go from here? Our Partners have garnered a strong reputation for having on-the-ground expertise and in-depth understanding of local business nuances. 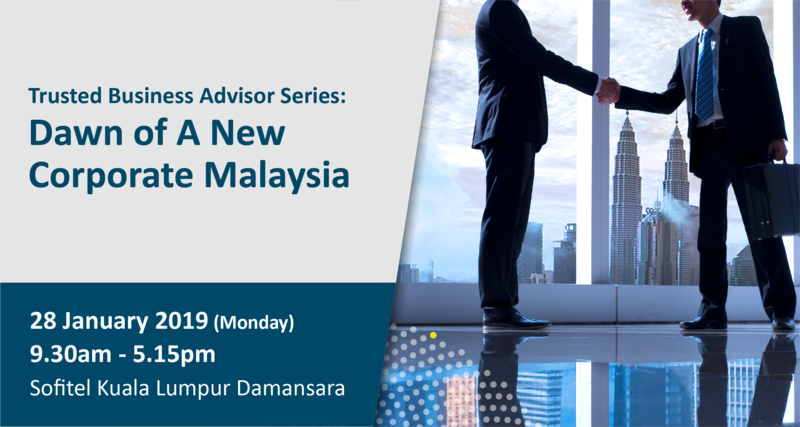 Drawing upon a wealth of experience across various practice areas and industry specialisations, we can provide you with key insights to help you succeed in ‘New Malaysia’. Our regional partners from the ZICO Law network will also be in attendance, so do take this opportunity to meet them as well. Mark your calendars now and reserve your seat for our full day Trusted Business Advisor event!